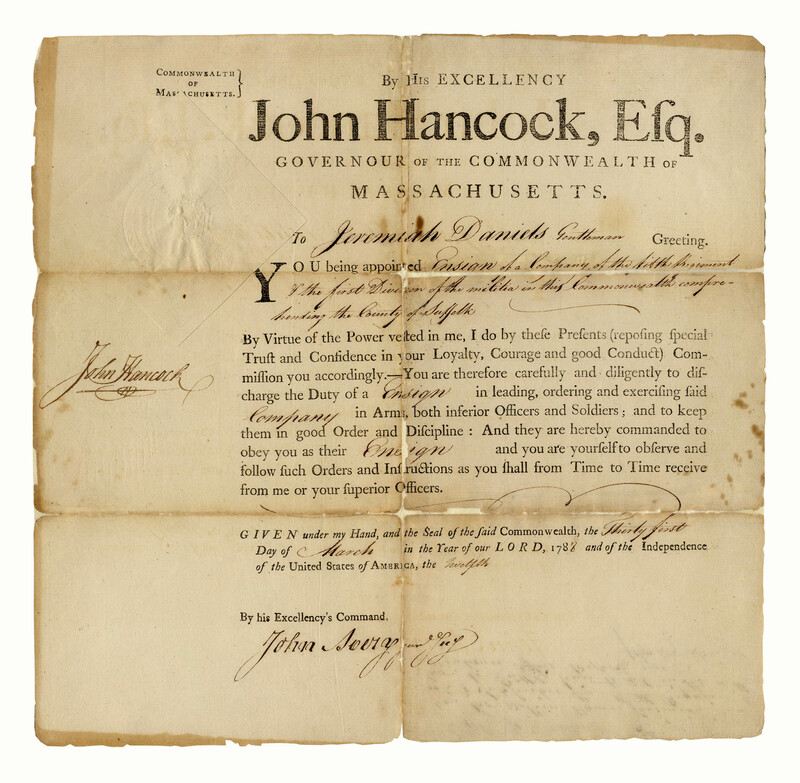 John Hancock military commission signed as Governor Massachusetts, appointing Jeremiah Daniels to the militia in Suffolk County. 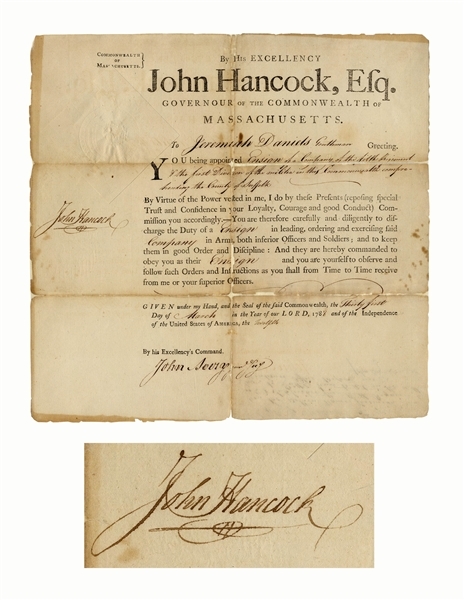 Dated 31 March 1788, Hancock delivers his distinctive signature under the Massachusetts paper seal, with his usual paraph. 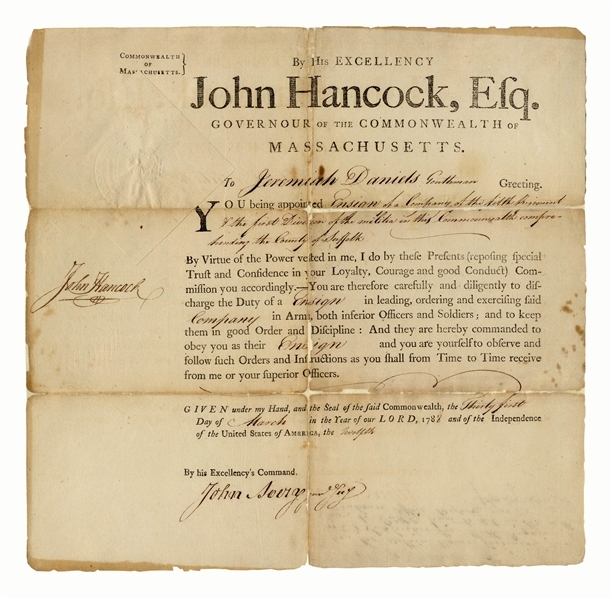 Countersigned by John Avery as Secretary. 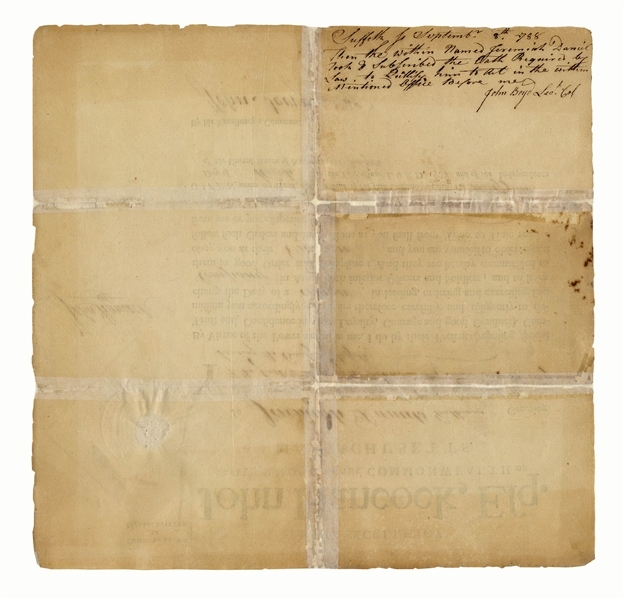 Measures 13.5'' x 13''. Archival repair along folds on verso, with minor loss of text, and minimal foxing and toning. Overall very good condition with a bold signature by Hancock.